JRA Electrical Installations - Electrician based in Christchurch, Dorset. 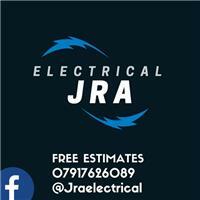 Hi my name is Jake Awdas and thank you for viewing JRA Electrical Installations page. I have been an electrician for 5 years, a sole trader and owner of JRA Electrical for 4 years. We have one main aim which is customer satisfaction at all costs. I am registered with Stroma Certified Installer and offer a wide variety of services in Christchurch and surrounding areas.